… and belated happy birthday, lex. Today is Samuel Pepys‘ birthday, the diarist (pictured below) hailed by DaithÃ­ on lex ferenda a few weeks as an A-list blogger, not long before that blog celebrated its first birthday. 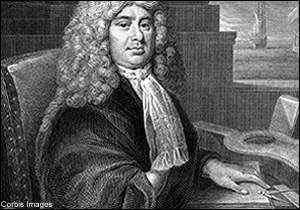 Now that Pepys’ diary is being made available as a blog by Phil Gyford, we have no excuse not to revel in the uber-diary of the great(to the n)-grandfather of all bloggers.